Today, we have little snowfall. 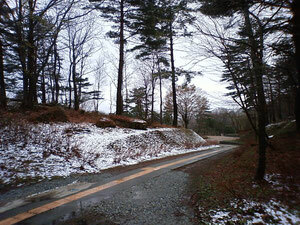 Generally speaking ,in Japan especialy west Japan,it is snow in end of April it's very rare case. But, MWC in Tajima,is located in heavy snow area. So sometime we had covered snowfall in this season.